A crane hire company blamed for a road crash that killed two schoolgirls and their mother was yesterday fined £60,000 after a worker was seriously injured at Inverness Harbour. Ann, Ciara and Niamh Copeland died instantly in a 2008 tragedy near St Cyrus, Aberdeenshire, after skidding in hydraulic fluid traced to a leak from a Whyte Crane Hire vehicle. 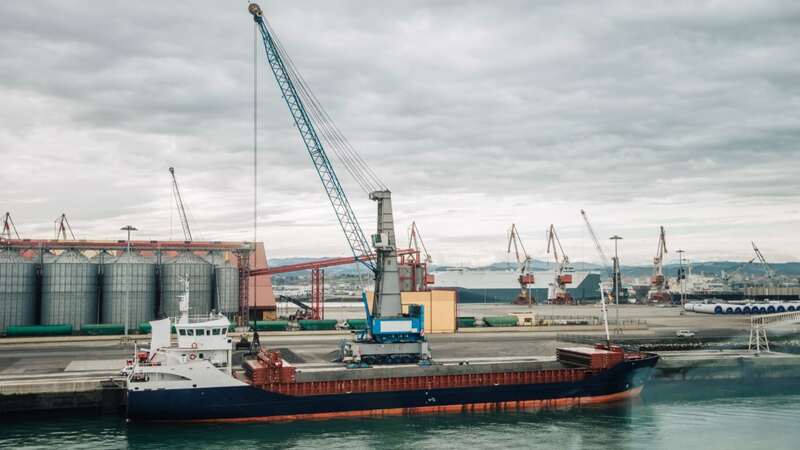 Yesterday at Inverness Sheriff Court, the company was in the dock over a 2015 incident where employee Wilson Reid lost his balance, spun 180 degrees and dangled upside down before falling 12 to 15 feet headfirst in the hold of a cargo vessel. The Aberdeen man fractured his skull and both eye sockets, needed 19 stitches to his head, dislocated his jaw and fractured his left wrist in several places. The family-run company, based in Tipperty, near Ellon, Aberdeenshire, admitted failing to ensure safe working practices at height, in breach of Health and Safety legislation, causing Mr Reid to fall to his severe injury, permanent disfigurement and danger of life.